In a decision that Commission Vice-chairman Tom Pentefountas calls “crazy,” the Canadian Radio-television and Telecommunications Commission (CRTC) has decided by majority vote to allow the CBC to introduce advertising on its Radio 2 and Éspace Musique radio networks. The decision was part of the regulator’s approval of the CBC’s application for a five year renewal of its broadcast license, released Tuesday. While the CBC had asked for permission to eventually carry nine minutes of advertising per hour, the CRTC decision limits the network to four minutes per hour, in no more than two separate breaks. The change is to be reviewed in three years, at which time the CBC can apply for renewed permission. Pentefountas, in a sharply-worded dissent, points out that the $10-11 million annual revenue expected to be earned amounted to only about 0.6% of the CBC’s overall budget. He writes, “I find it unfathomable that we’re upsetting the balance of the Canadian radio broadcasting ecosystem for $10 million in revenues in the case of Radio 2 and a few million dollars in the case of Éspace Musique. […] This crazy pursuit—and I emphasize the term—will destroy the very exemplary trademark character that these services enjoy among Canadians. “I am strongly of the opinion that the nature of the service will change as soon as the funding of operating costs hinges even minimally on advertising revenue shares. During the hearings into the license application last Fall, the commission received 965 interventions on the advertising issue, of which 893 were opposed. But this is patently untrue. Over the past three years, CBC management has quietly pulled more than $50 million dollars out of radio—mainly the English-language services— transferring it to television. This has resulted in sharp reductions in staff levels, along with reduced programming services and a marked increase in program repeats. Pentefountas sees this policy of deliberate starvation as “highly inappropriate” tactic aimed at “spreading panic” among English-language audiences and, presumably, making them more amenable to advertising. This is a shocking accusation from one in a position to know. In its campaign to extend its reliance on advertising revenue, CBC management has set out, successfully, to deliberately and irreversibly alter the fundamental character of the public broadcaster. Some of the intervenors in the CRTC CBC licensing hearings last fall, myself among them, had hoped that the commission would at least give a nod to the eventual need for CBC to get out of commercials sponsorship altogether, in order to justify its continued existence as a taxpayer-supported service. From that perspective the CRTC’s decision is a step in exactly the wrong direction, in that it essentially eliminates CBC radio’s distinctiveness, and therefore its relevance. With no further claim to relevance it has no legitimate claim to federal subsidy. CBC television is already in this tenuous position, and now radio joins it. As Pentefountas says, there can be little doubt that at the end of the three-year trial, the CBC will be back asking to expand advertising to Radio One as well, where the big audiences are, and where revenue would be far more substantial. Programming will inevitably change to suit advertisers needs and demands, just as it has on CBC television, where product placement has become routine and episodes of Little Mosque and Arctic Air are scripted to include product references. According to its renewal application, the CBC intends for Radio 2 and Éspace Musique to be supported almost entirely by advertising revenue rather than by government funding. Reliance on commercial sponsorship condemns any mass media outlet to eventual conformity to commercial rather than civic standards of value and quality. It’s a principle that has been understood since the beginnings of broadcast radio services in the 19020s. Commercial broadcasters evaluate quality not according to the inherent value of their programs, but according to how well those programs serve the interests of advertisers. In other words, commercial broadcasters are, by definition, in the service of advertisers, and not the public. That is the essential and irreconcilable difference between commercial and public service broadcasters. One serves advertisers by assembling high-quality audiences—large numbers of viewers or listeners with the right demographic profiles. The other serves the public, by providing the highest available quality in informative, entertaining and enlightening programs. CBC President Hubert Lacroix has insisted that the Corporation has no intention of introducing advertising on Radio One. But already that service is being heavily used as a promotional vehicle for advertising-supported programs on CBC television and content on the CBC.ca. No doubt it will also have to assume the burden of marketing the new advertising-supported content on Radio 2 as well. Can a marketing agent for commercial content really be called non-commercial? Whether or not the CBC will be preserved as a public broadcaster in the authentic sense of that term, free of advertising and commercial obligations, is a question that can now only be answered by Parliament. There is reason to hope that the CRTC decision might prompt legislative action in the right direction. 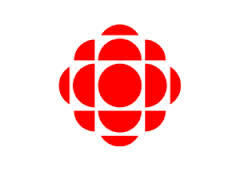 With more specific reference to English-language CBC, its radio services have remained non-commercial, giving its audiences a programming with which they are generally satisfied and which is seen as unique. However, English-language television has tended to become more commercial, more in direct competition with private television […]. We believe that CBC English-language television should become, and will have to become, more distinctive if it is to remain viable and fulfill its role as a unique public broadcaster. We should consider giving it a mandate that clearly articulates its role as a unique Canadian broadcaster […]. Along the same lines, we would seek to reduce CBC’s dependence on advertising revenue and its competition with the private sector for these valuable dollars […]. Supporters of authentic public service broadcasting, and those in the private broadcast industry who have long resented competition from a government-subsidized CBC, share an interest in re-making the corporation as an true and authentic public service broadcaster. It is time to urge all the federal parties to begin seriously looking at ways to fund the CBC, without advertising, at a level that will allow it to achieve the levels of excellence of which it is capable, and which Canadians deserve.